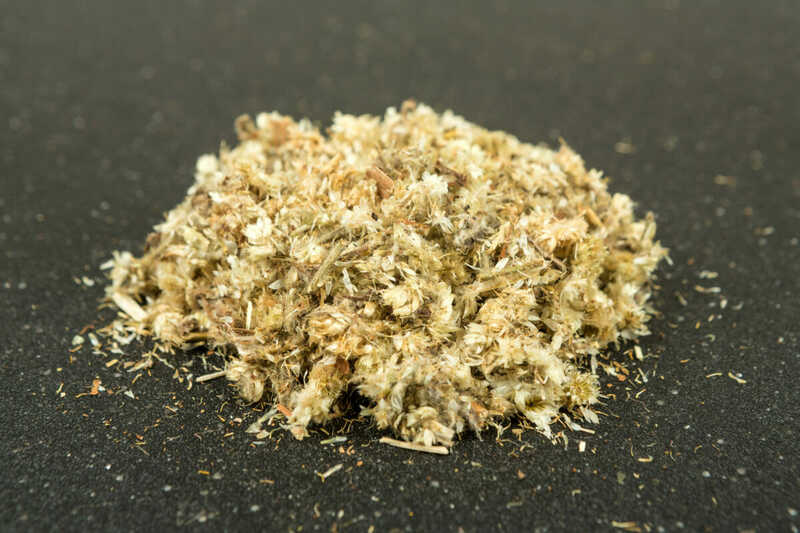 This is crumbled, dried mullein, which is known as the "base" of most herbal smoking blends. Quite a few plants may be safely, and pleasurable, lit up in a pipe or rolling papers. Those listed below are legal, unregulated, and totally safe to use. They are also non-hallucinogenic and non-addictive – perhaps that explains their lack of popularity? While they won’t get you high, when blended according to the instructions below, these herbs produce a smooth, tasty smoke and give a gentle, relaxing buzz. All of the following varieties may be purchased online or at any well-stocked herb store. You may also grow your own. Of course, we’d be remiss not to remind you to discuss any questions with a doctor. While scores of herbs are smokable, those listed below are among the most commonly used and easily grown at home. Skip to the sidebar to learn how to dry your herbs into the perfect smoking blend. 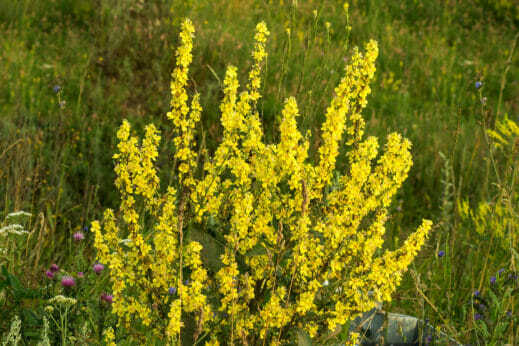 Herbal Properties: Mullein has a long history of use as a lung tonic. It can actually help you stop coughing when you’re sick. Smoking Qualities: The smoke is extremely light and mild, almost like smoking air, and virtually flavorless. Type of Plant: This biennial herb grows up to two feet wide at the base, with flower stalks rising six feet or more. How to Grow: Considered by some a garden weed, this fuzzy-leafed plant is very easy to grow from seed planted directly in the garden in spring. It prefers a sunny location and soil that is well-drained and not too fertile. It benefits from a bit of irrigation as a seedling but is drought-tolerant once established. Herbal Properties: Skullcap has a mild calming effect when smoked. Smoking Qualities: This herb is a medium smoke, with a fairly neutral flavor. Type of Plant: A spreading perennial that grows about a foot tall, skullcap makes an attractive groundcover in the garden. How to Grow: Sow seeds indoors in spring, planting the seedlings in a sunny or partly shaded location with rich soil once the weather has warmed. 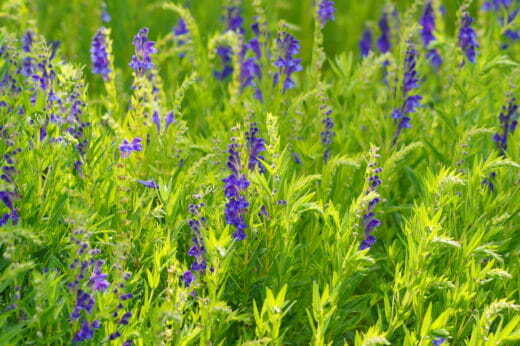 Skullcap requires weekly irrigation during dry periods. Cut the dried foliage to the ground each fall. 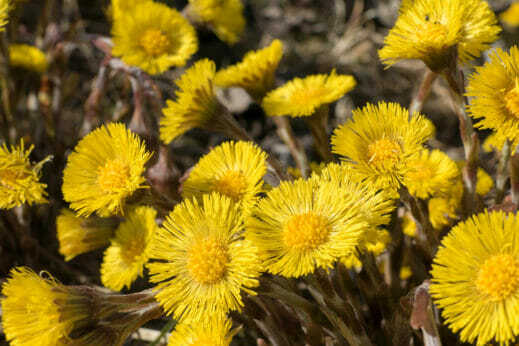 Herbal Properties: Coltsfoot is an expectorant, helping to free phlegm from the lungs. Smoking Qualities: This herb is a light smoke with a neutral flavor, but can cause harsh coughing if used in a high concentration in smoking blends. Type of Plant: This 6- to 12-inch tall groundcover spreads by underground rhizomes to form extensive colonies under optimum growing conditions. How to Grow: Dried coltsfoot seed rarely germinates, but “fresh” seed, as well as potted plants, are available online. Rich, moist soil and a location in full sun or part shade are this plant’s preferred growing conditions. 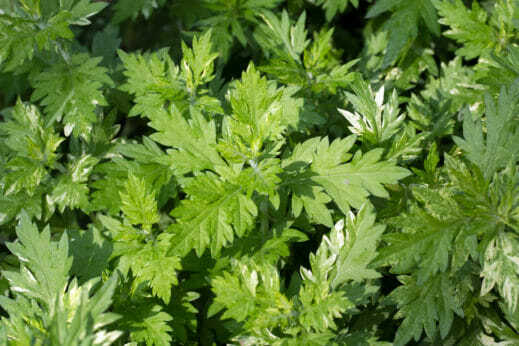 Herbal Properties: Many ancient cultures smoked mugwort to promote vivid dreams. It also produces a very mild psychotropic effect while you’re awake. Smoking Qualities: This herb is a light smoke with a pleasant, slightly sweet flavor. Type of Plant: Mugwort is a spreading perennial growing up to 2 feet tall. How to Grow: While seeds are available online, mugwort is easier to start from a potted plant, or by transplanting a clump from an established patch. Mugwort thrives with little care once established, but beware: it can become invasive, especially in moist locations. Cut the dried stalks to the ground each fall. Herbal Properties: Also known by the Algonquin name kinnikinnick, this native plant has long been smoked by Native American tribes for ceremonial purposes. Smoking Qualities: Uva-ursi herb is a medium smoke with a strong earthy flavor. Type of Plant: This attractive woody groundcover, which grows about 6 inches tall, is a popular landscaping plant. How to Grow: Uva-ursi is very difficult to propagate by seed, so it’s best to obtain potted specimens from a native plant nursery in your area, or from an online supplier. Grow in full sun or light shade; excellent drainage is essential. 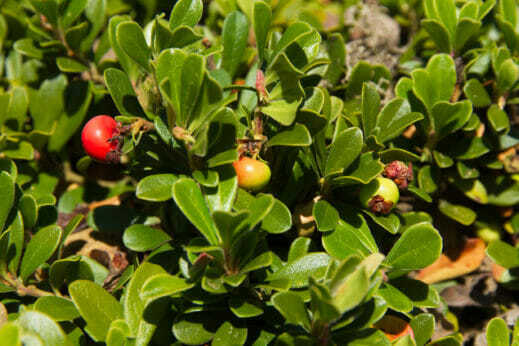 Uva-ursi is drought-tolerant and requires little care once established. 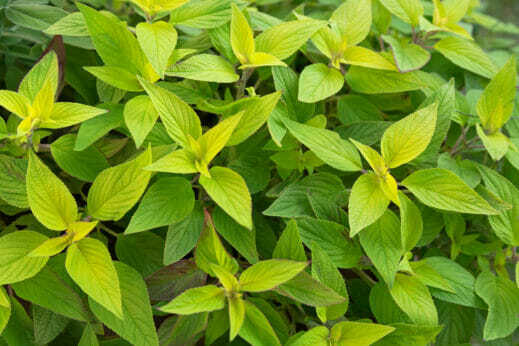 Herbal Properties: Mints are used primarily to impart flavor to smoking blends. There are many varieties worth experimenting with, including spearmint (Mentha spicata) (pictured above), peppermint (Mentha piperita), and chocolate mint (Mentha x piperita ‘Chocolate’). 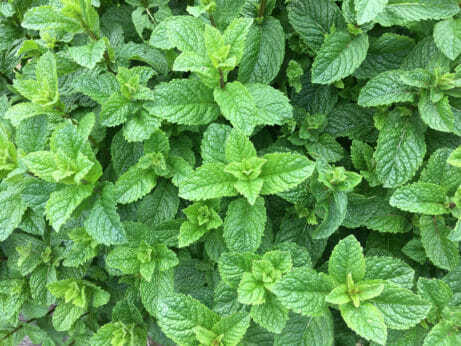 Close relatives of mint, including lemon balm (lemony flavor) and yerba buena (sweet menthol flavor), are often incorporated in smoking blends, as well. Smoking Qualities: Varies by species. Type of Plant: These herbaceous perennials spread to form extensive colonies under optimum growing conditions. How to Grow: Mints are easier to establish from potted plants, or by transplanting a clump from an established patch, than by sowing seeds. Part sun and rich, moist soil are the preferred growing conditions. Mints can become invasive in the garden, especially in moist areas, so you may want to confine them to a pot. Cut the dried stalks to the ground each fall. Smoking mixtures are largely a matter of personal tastes and preferences – experiment with different herb combinations to see what suits you best – but here are the basics to get you started. Harvest fresh, young leaves, ideally in the morning after the dew has evaporated. Dry the leaves slowly indoors – try hanging them in bundles from the ceiling or spreading them out on a window screen (see our article on drying techniques here). Don’t dry them fast in an oven, as you want the leaves to retain a bit of moisture for a smoother smoke. Once dry, crush the leaves by hand into an even consistency. Mullein is the ideal “base” for smoking blends because it is such a light, smooth smoke. It should form about 50 percent of the mixture. Then add several other herbs for the “body” of the blend. Mugwort and skullcap create a headier smoke, while uva-ursi gives it more of a tobacco-like quality. Add a bit of coltsfoot if you’re lungs are irritated from frequent tobacco use. Combined, these herbs should constitute about 40 percent of the blend. Use flavoring herbs, like mints and sages, for the final 10 percent of the blend. If the blend is too harsh when you smoke it, trying spritzing the dried herbs with a spray bottle to reintroduce moisture. Store smoking blends in glass jars or resealable plastic pouches. Herbal Properties: Sages are used primarily to impart flavor to smoking blends. There are many varieties worth experimenting with, including white sage (Salvia apiana), black sage (Salvia mellifera), and pineapple sage (Salvia elegans) (pictured above). Beware though: One type of sage, Salvia divinorum, has strong psychotropic properties and is illegal in many states (many gardeners find themselves accidentally breaking the law). Type of Plant: Most sages are shrubby perennials, ranging from less than 1 foot to more than 6 feet tall. How to Grow: Growing conditions vary by species, but most sages prefer full sun and dry conditions. Cut them back about 50 percent each fall. Thank you for the information that I requested I found it to be very informative. Would like to get more info on growing of the 7 smokable plant and mixing of the plants to used for smoking . How can introduce waping herbal products insted of tobacco. Would like to know more..
Hello! I’m wondering what sources you used for this article? Im also doing some research on the topic and would love some new reading! Thank you! Is it safe to smoke sage. I have quit tobacco after 50 years but the smoking habit is hard to stop.. I am growing sage and mint are they safe? Hi, I am really glad I’ve found this information. A good website with exciting content, that’s what I need. Great article! I’ll be visiting it. Do you do newsletters? Can’t find it. Thanks! Is there any sage that is not inhalation safe, like because of synthetic coating or not food grade, like white sage from a typical store bought smudge stick. Are you aware if there is a difference between taking the leaves, etc. of various plants and boiling them in water to make a tea and drinking it compared to crushing it like you mention and putting it to smoke? Do you add ingredients to make it smokeable? Maybe I missed that in the article, but I don’t think you mention adding tobacco or anything. I’m just wondering if the chemistry is different between a cigarette and an herbal tea? Thanks!